The night of San Lorenzo (Saint Lawrence, in English) is by tradition the night of the shooting stars. It's a night when the Perseid meteor shower crosses the terrestrial orbit, giving the impression of a rainfall of stars. 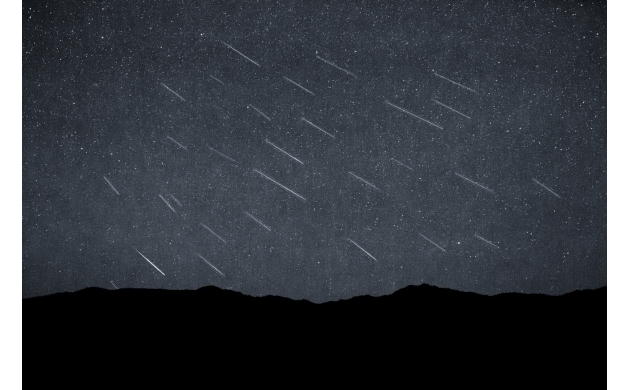 The shooting stars of the Perseid meteor shower are traditionally known as the "Tears of San Lorenzo". But where exactly does this saying come from? Lorenzo was one of the seven deacons of Rome, martyred during the Christian persecutions under the reign of the Roman emperor Valerian. As the story goes, the future Saint died during the night of August 10, stretched out on a gridiron and roasted alive over burning coals. It is for this reason that the night of the shooting stars became the night of San Lorenzo: to remember the burning embers over which the Saint was martyred. 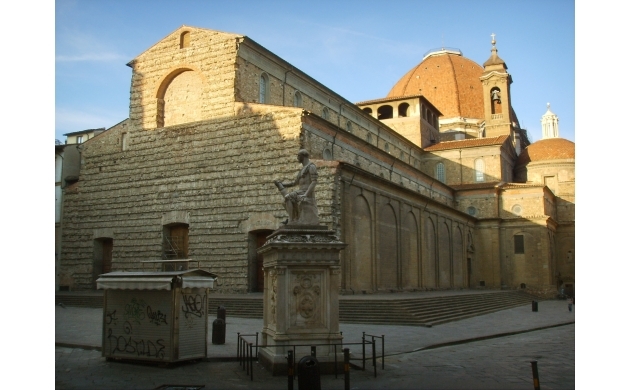 San Lorenzo is also the co-patron Saint (along with Saint John) of the city of Florence. It was in his name that the first church of the city was consecrated in 393. Later, in medieval times, to honor San Lorenzo (who as we know was roasted on the gridiron), quarters of beef were grilled up and then divided into smaller pieces to be distributed freely among the people. 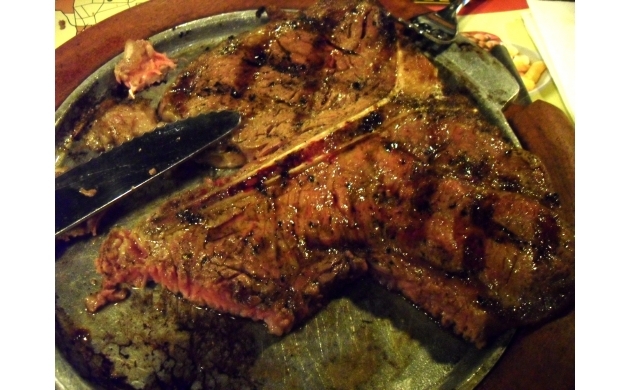 It was according to this particular tradition that the celebrated "bistecca all fiorentina" was born. Legend has it that at one point, as the pieces of beef were being handed out, some English merchants decided to join the banquet, asking loudly for "Beef-steak, please!" Spoken with the traditional Tuscan accent, the original "Beef-steak" became the very Italian "bistecca". The night of San Lorenzo is also the occasion for another popular florentine party that starts earlier in the morning. In fact, in Florence the feast of San Lorenzo begins as 9:45 with the historical procession of the Republic. The procession goes from the Palagio di Parte Guelfa all the way to the Palazzo Vecchio, where at the old town hall it is joined by the banner of the city. From there, the procession heads to the Basilica of San Lorenzo, where mass is celebrated and a blessing is bestowed upon the city. 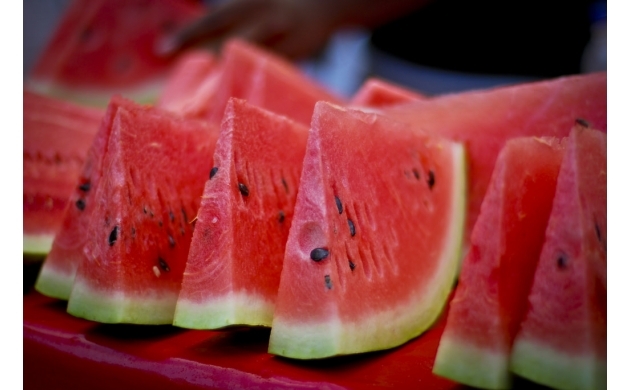 To conclude the night in style, right there in the Piazza di San Lorenzo, lasagna and watermelon are given out for free, continuing an ancient tradition of the Baker's Guild (for which San Lorenzo is the patron saint), who throughout the day make bread of various shapes as well as that particular type of pasta, the lasagna. After the party in the piazza, the Florentine people head back along the Arno river to see the stars better (Piazzale Michelangelo and the footbridge of the Passerella dell'Isolotto are two of the most popular spots). But the true fans of this event head out of the city, going to the Cave di Maiano in Fiesole or the Roveta di Scandicci. Wherever you decide to go, don't forget one important thing: for every shooting star you see you get to make a wish!